Here is my new coffee journal! 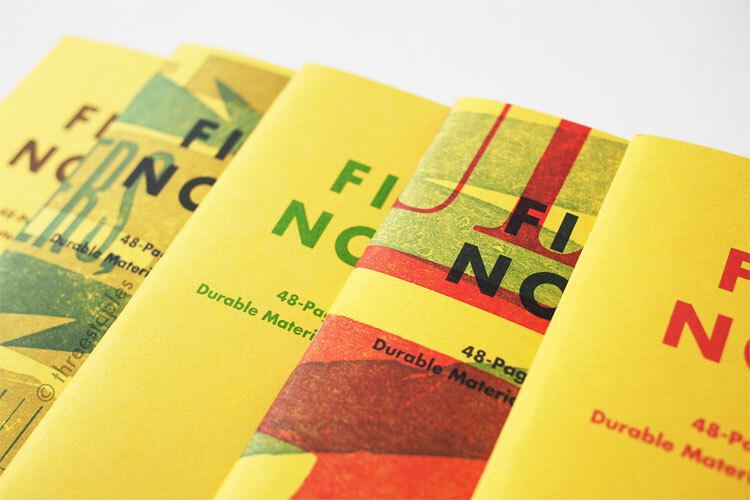 This notebook is made by Hütte Paper Works from Japan, and I have to say, I really like it. I picked it up at my local Maido store some time ago, lured by the polka dot pattern and kraft color body paper. It’s slightly wider and taller than Field Notes. I believe it also came in bigger sizes, in different colors, like black and white. 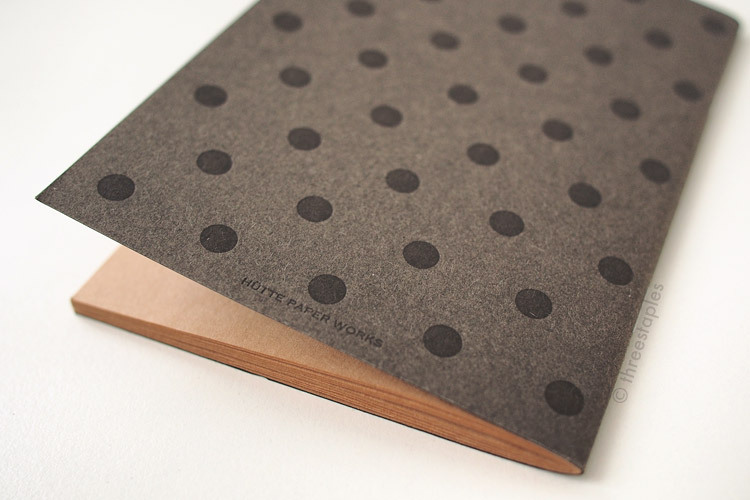 I love that the polka dots are debossed and are not too loud, with the texture of the paper showing through beautifully. I try to keep it pretty simple for each bag of beans I try. I make coffee using only one method anyway, using the Faro single-cup dripper. The most important thing I write is whether I liked it or not. For fun, I also give it a “star” rating, using little drawings of beans as stars. It’s definitely been a perfect excuse to use my brown pens, some washi masking tapes, and the Muji checklist rubber stamp. And I love how the white Posca marker pops on the kraft paper. I like Four Barrel coffee in general. Obviously, I’m using this notebook for only ocassional use, more as a scrapbook, and not for any long-form daily writing. So I don’t claim this as a full-on review. But I tested it with various pens I own, and found the body paper surprisingly good. It is not the smoothest out there but compared to other kraft papers I’ve experienced in the past, I find it smooth enough, despite its fiber-ish appearance. But I was a bit disappointed by how some of my felt-tip graphic liners performed, especially Rotring Tikky Graphic Liner. And I noticed feathering with wetter markers, like Pilot Fude Futayaku pen. But my fountain pens performed surprisingly well, with minimal feathering and almost no show-through. Gel pens were a breeze. Do you do any coffee journaling?